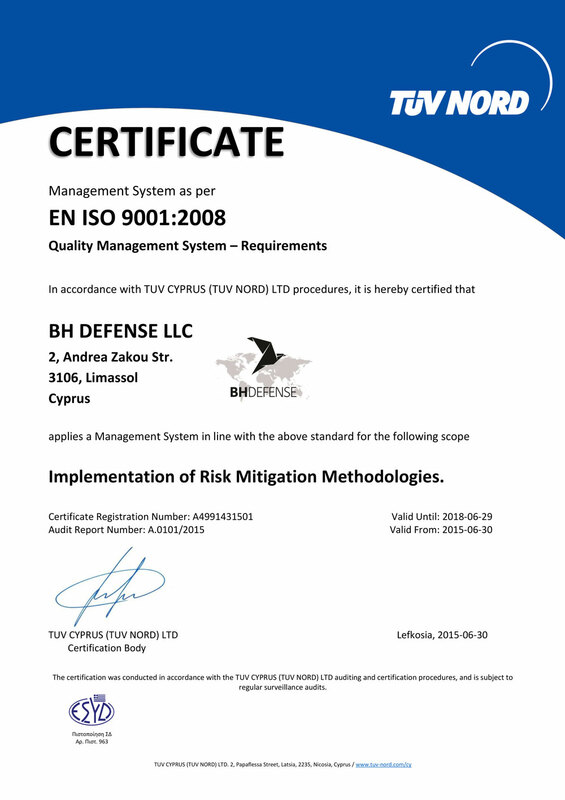 BH Defense is ISO certified for the quality assurance program that backs our risk-mitigation methodology. This is virtually unheard of in this field. Other companies may have ISO certification for pieces of the risk-management continuum, but BH Defense is ISO certified across its entire risk-mitigation methodology.